LANCASTER – Lancaster City officials remain opposed to the Palmdale Power Plant, and they say an objective third party, Kern County, may soon follow their lead. In a press release issued Thursday, Lancaster city officials cited a Kern County staff report that advises the Kern County Board of Supervisors to consider opposing the transfer of emission reduction credits needed for the construction of the Palmdale Power Plant. Read the Kern County staff report here. The Kern County Board of Supervisors will consider a recommendation from County Planning and Development staff to oppose the transfer of emission reduction credits from the San Joaquin Valley to the Antelope Valley at its upcoming meeting on Tuesday, Oct. 22, according to a County staff report released today. A transfer of emission reduction credits (ERCs) is needed for construction of the proposed Palmdale Power Plant. The California Energy Commission decision issued in August 2011 regarding the Palmdale Power Plant outlines a plan “to mitigate the project’s contribution to ambient ozone,” which includes acquiring emission reduction credits for nitric oxide (NOX) and volatile organic compounds (VOCs) from the SJVAPCD, as well as paving roads to mitigate particulate matter (PM10 and PM2.5). The staff recommendation also advises that the Kern County Board of Supervisors write a letter to SJVAPCD “opposing transfers of Emission Reduction Credits outside the Air District unless they benefit Kern County or other Valley Air District counties or related cities,” with the exception of ERCs set to expire within two years. Palmdale officials have not yet presented a plan for the transfer of ERCs to the Antelope Valley Air Quality Management District. 18 comments for "Kern County to weigh in on Palmdale Power Plant"
For those who don’t know, Rex had himself a fleet of Hummers a few years ago. A reward for winning a big case, supposedly. Where’s all the horror for the fact that all of the AV primarily burns natural gas to heat their homes and places of work, heat water, dry clothes, and cook? That should read …” natural gas and solar reflective steam.” unless I misread prior articles and documents. BTW, I am counting more than one photovoltaic plant in Lancaster. There is the Poppy Reserve plant, a plant out on 90th south of K, one on Ave M around 45th I think (which they cut down the trees near it), there is a new plant going in on Ave M near 20th Street West, not to mention the solar steam project on H, and the array at the Kaiser med center. If this was strictly a photovoltaic, like all the Lancaster plants, most people would’t give a s–t. Not all of the Lancaster plants are photovoltaic. The unit on Ave H near Sierra Hwy is a reflective solar steam unit. Most people are unaware it even exists and it sits right there in Lancaster! That little plant can generate a lot of energy and many years of living near it (H8 and Newtree) I never recall seeing a steam cloud from the cooling unit. Hey, citizens of Antelope Valley. That big beautiful blue sky that you are all so proud of? With this big money grab, you can kiss your clear view goodbye. Google, “Power Plant Steam Plume”, and then select “Images”. This is your dreary future. Still trying to misinform people with an unqualified search I see. They can look and make their own decision, it’s more then you’ve got. AV almost never has the weather conditions for that, silly, but do you curse god or the weather when you see condensed water in the atmosphere(clouds)? You use electricity, you just don’t want it generated in your backyard, which is fine if you’re going to swear off of it. The AV has become ground 0 for power generation schemes that demand natural gas fired plants to back it up, and it’s not going to harm AV residents if the AV begins to generate some of what they use in their own backyard instead of someone else’s. Bet you’ve never made a peep about basically a forest fire going on every winter as AV residents burn wood in their fireplaces. Bet you’ve never made a peep about emissions from thousands of folks using outdoor BBQs. The Lancaster City Council has approved numerous solar plants, some plans for more plants are in the works, and one solar plant is operational. Meantime, while the Lancaster city council says that vegetation is required around the solar plants to prevent dust storms, we are experiencing dust storms all the time. The city council complains of the pollution that the Palmdale Power Plant will generate, yet, solar plants and their surrounding are already contributing to the air pollution in the AV. 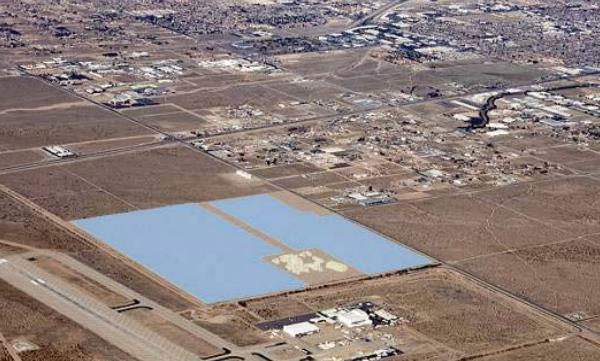 So, it is so hypocritical of Lancaster to complain about Palmdale’s Plant. The dust issue is a short term matter that can easily be addressed with the same techniques farmers have used for the last 100 years in the AV. Plant alfalfa and let it hold down the soil.. or plant any other low maintenance topsoil cover to prevent blowing dust. If a power plant is built there will be no simple easy and inexpensive way to overcome the pollution it will generate. So either every single resident in the A.V. should see direct benefits from the power plant or it’s just not worth the real risk. Oh, John Howard. It just doesn’t matter to you that the agencies that evaluated the effects of the power plant concluded there isn’t the exaggerated risk that you, Parris and Crist constantly spout off. You probably think the earth is 6,000 years old as well because facts don’t matter when people ‘believe’ something to be true when all the evidence says it isn’t. Haha, the first farmers to the AV went bust when the found out AV is no place for dryland farming, and that was with a relatively drought tolerant crop, not a relatively thirsty one like alfalfa. Tell you what, John Howard, meet me in the AV where dust is generated with some alfalfa seed. You plant it, and I’ll come back periodically with a camera to document it not growing without irrigation. Do you even live in the AV? You know it’s a very dry area, right? Are you aware the AV is also water poor, and severely drew down it’s aquifers, mostly flood irrigating alfalfa? Wonder how much money it cost Parris to buy them off. Kern County government officials are notoriously cheap to buy individually, but en masse? All just so that Parris can go after more power (not the electrical kind) in Palmdale. Lancaster Council and Mayor like the 15.5% unemployment in their city. The 800 jobs for three years to build the power plant sure would be nice. Looks like they’re going to get an even bigger bed to accommodate the Kern County kids…scary. I agree….Not to mention all the medical jobs from treating people that could get sick, and all the lower property values for property owners around the plant that have invested their life saving that will lose. There’s more to this then a quick buck for some outsiders interest that won’t give AV citizen lower electric rates and whose says they have to higher local?? ?or even this country. Wake up~ wake up~wake up! Need to but AV First Always and look at the Big picture with everyone’s best interest represented! Its not the old day’s where you can sell citizens $5 million earthquake faultline property for a Palmdale community college don’t forget! Just think of all the medical jobs Rex has already brought us. What with the empty stores and homes breeding those pesky mosquitoes killing folks with West Nile virus and the brown out days from the solar fields spreading Valley Fever throughout the valley, the money should be rolling in. That doesn’t include flying dirt triggered asthma attacks. How many permanent jobs those bring again? 15? 20? Can’t wait for that Chinese $$$ to start trickling down!